This book is rich. Rich with vivid details, language and characters who are as flawed as people as they are wonderfully written. It is not all beauty however, as this book contains quite a bit of substance. It is a cautionary tale, about not using your intellect for evil doing, and it’s taught in a way that is horrific for all involved. Few of the characters in this novel were likeable, and maybe that’s what I liked about them. The narrator is self-important and a bit pompous, though very much lost in a world that at first he, and we do not understand . 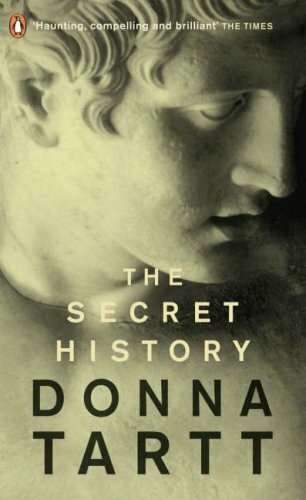 Donna Tartt was able to draw me in, and make me enraptured with the story, with the details of this world, so familiar to my own but in some ways so completely foreign. This book would be great for anyone who loves mystery, or a good lesson, or plain old good writing.